2. 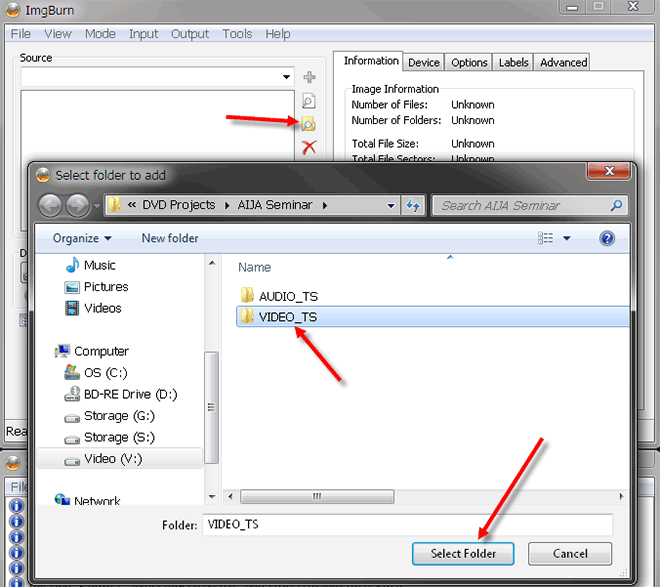 Click the yellow browse folder and browse for the VIDEO_TS folder and click select folder. There is no need to add the AUDIO_TS folder, it will be automatically added. 3. 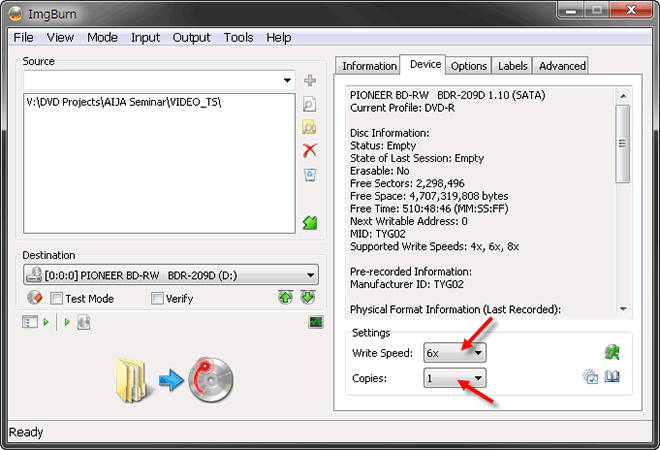 Set the burn speed to 6x maximum providing your blank DVD-R disks are rated at 8x or higher. Set the number of copies required. 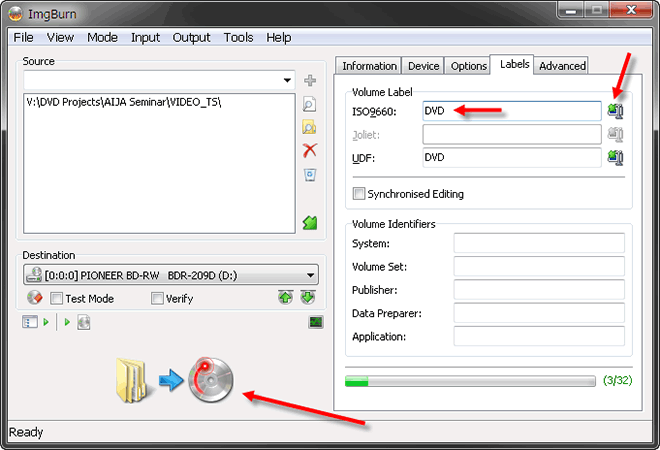 Avoid DVD+R disks for single layer DVD and use quality DVD-R blanks such as JVC (formerly Taiyo Yuden Japan) or Verbatim. 4. Be sure UDF Revision is set to 1.02, if you forget, Imgburn will warn you at the burning stage and offer to correct the error. 5. 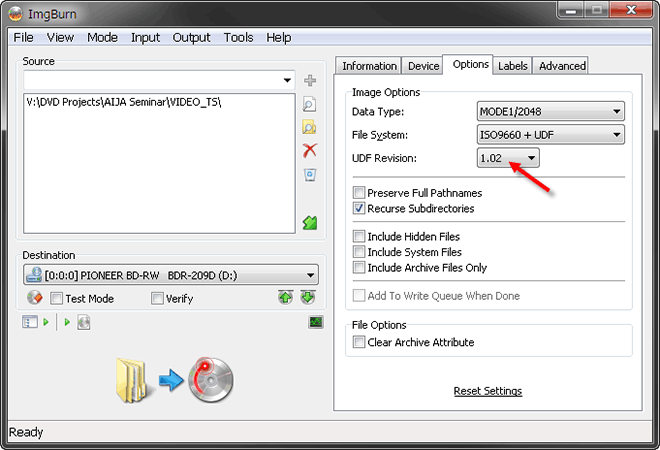 Type an ISO Label in upper case and click the copy button on the right which will copy it to the UDF section, then click the big Burn button at bottom left. 6. A summary is displayed, verify that both folders are listed and then click OK.
7. 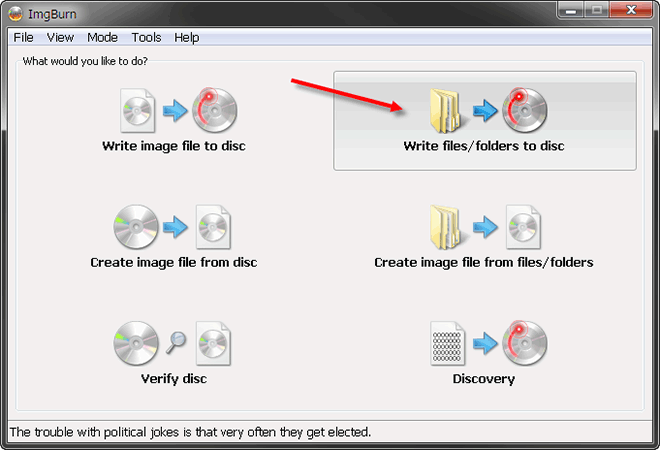 Finally, as the burn process starts, select the eject tray option so the disk is ejected when the burning process is finished.